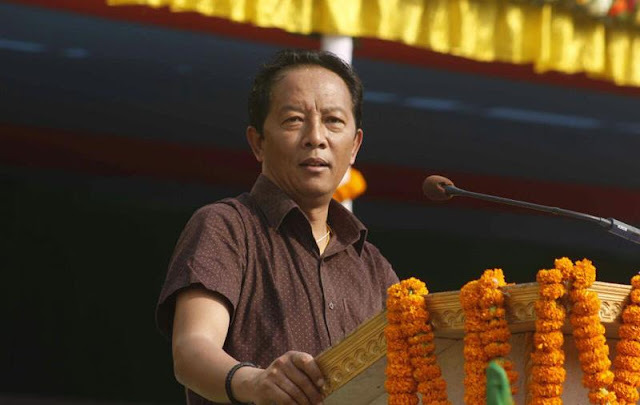 GTA head Binay Tamang has drawn up elaborate plans to showcase Darjeeling as a destination for football enthusiasts and build infrastructure to popularise the sports for visitors, along with the world famous Darjeeling Tea and its landscape. The plan, he said, includes resumption of the famous gold cup tournament in the hills, invite to football clubs of India and abroad and visit countries like Germany and Spain to bring in investments for of sports infrastructure. “We want people to visit Darjeeling for its tourist attractions, tea and football. The hills were once known to be a soccer hub and the prestigious gold cup tournament was held every year. It was back in 1985 that the tourney was held for the last time. After 25 years, we want to revive the glory and hence, planned to host the GTA Chairman Gold Cup that would commence in the hills soon,” said Tamang. He was speaking at an interactive session organised by the North Bengal zonal council of the Confederation of Indian Industry. Tamang said 16 teams from different parts of India and also from some of the neighbouring countries had expressed interest in the tournament so far. “The tournament that has been planned after a gap of so many years is fast drawing attention of football clubs from across the country,” said Tamang.